Last weekend was a big one for Republic’s music students, with district competition for both vocal music and band. In vocal music, 58 different students advanced to state by receiving a Superior “1” rating in at least one of their events. Twenty-seven of them advanced in a single event, 22 advanced in two events, and nine advanced in three events. Students who advanced in three events include Rachel Berry, Tristan Brown, Steven Brymer, Katie Groves, Ashton Lairmore, Megan Sly, Hannah Wells, Max Wood, and Wesley Zane. Students who advanced in one event include Connor Brake, Camryn Iles, Gabby Trampler, Harrison Tate. Jason Wright, Zoe Famiano, Malachi Gorman, Miles Howell, Cody Guinn, Kile Thornhill, Alonna Pederson, Mady McCrea, Caleb Creech, Braylea Ewing, Noah Kellett, Brenda Latamondeer, Katie Rainey, Danielle Pelak, Bethan Irons, Deanna Pride, Carli Allen, Aidan Crawford. Ravin Paterson, Elisabeth Creech, Andrea Dryden, Faith Nelson, and Parker Woods. 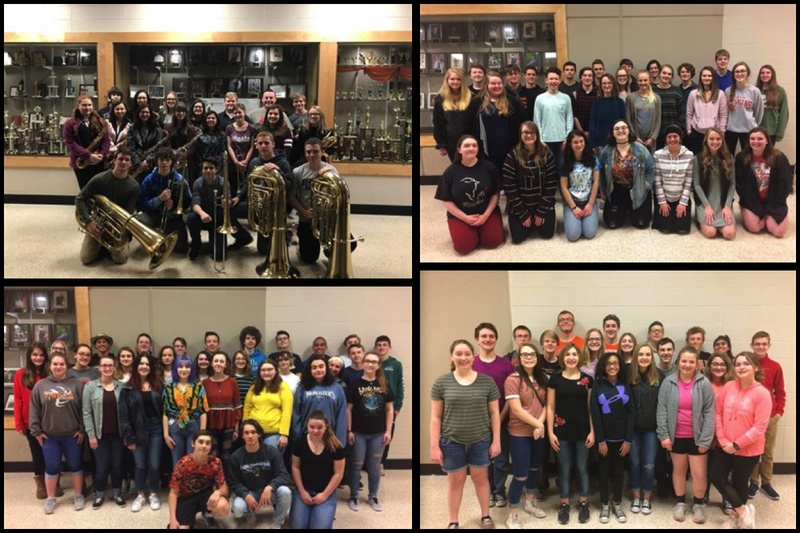 Twenty-seven band members will be participating at state. Here’s the list of qualifiers from Republic.